Assoc. Prof. Dr. Pairot Pramual is a full time lecturer at the Dept. of Biology, Faculty of Science, Mahasarakham University, Thailand. Dr. Pramual received his B.Sc. (Honors 1) in Biology from Mahasarakham University in 2001. 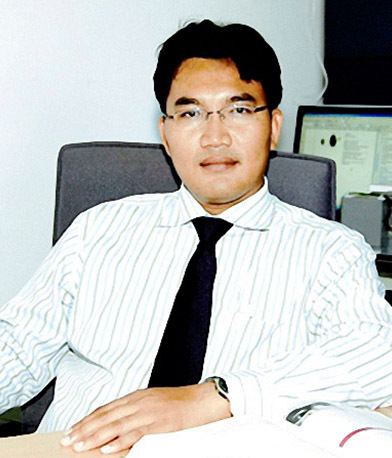 He received his Ph.D. in Biology from Mahidol University, Thailand in 2006. Dr. Pramual is an expert on the black fly. He has published numerous articles and publications on black fly species diversity and their community structure in tropical streams of Thailand. 2000 BS Biology Honors, Mahasarakham University, Mahasarakhma, Thailand. 2006 Ph.D. Biology, Mahidol University, Bangkok, Thailand.